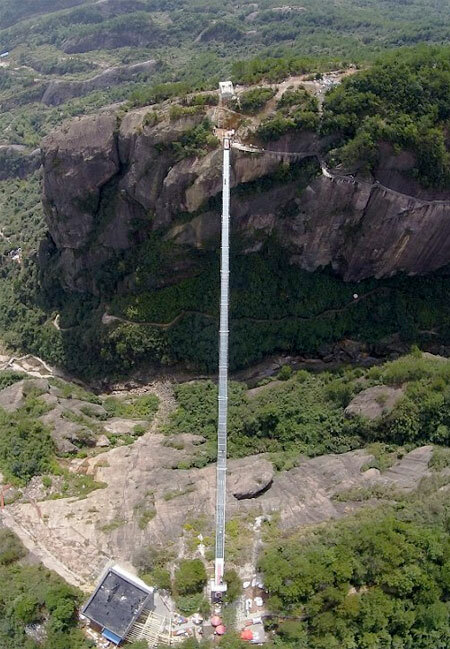 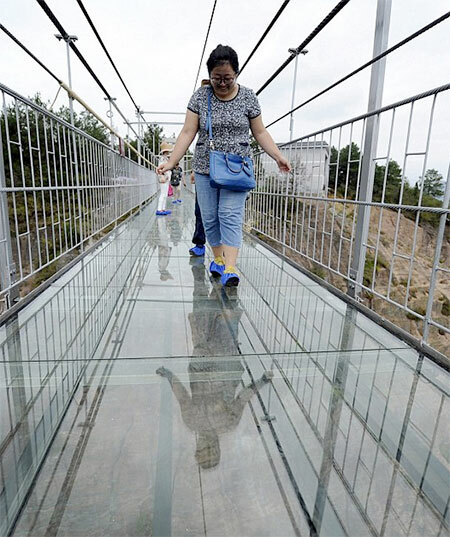 Suspension bridge made out of clear glass connects two peaks of the Stone Buddha Mountain at Shiniuzhai Geopark in Hunan, China. 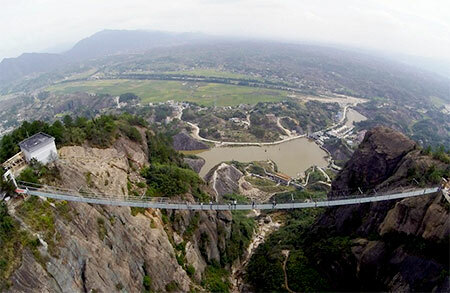 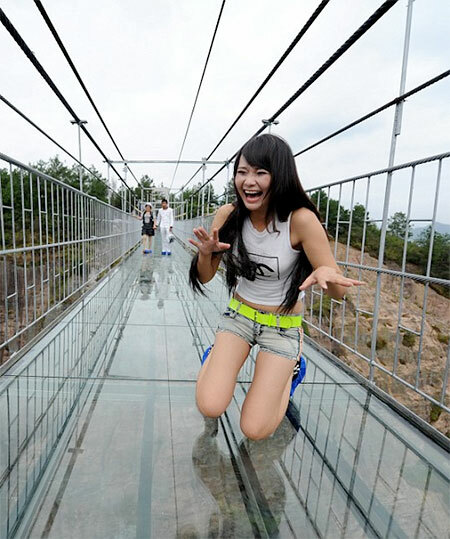 Transparent bridge constructed out of double layer glass is 590-foot-high and 985-foot-long. 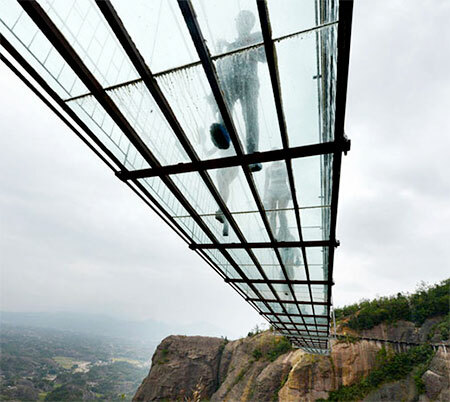 World’s longest glass bridge with breathtaking views. 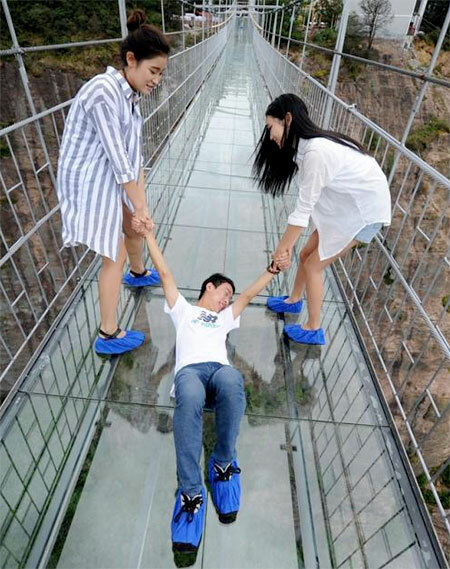 Glass-shattering squeals will do the trick.